In addition to alumni, the conference included high school and university students, an attempt to build cross-generational bridges and mentoring relationships. One of the most meaningful outcomes of the conference, a one-day gathering of some of the first Vietnamese to study in the US in the postwar era and some of the most recent returnees, was the establishment of an informal alumni group. 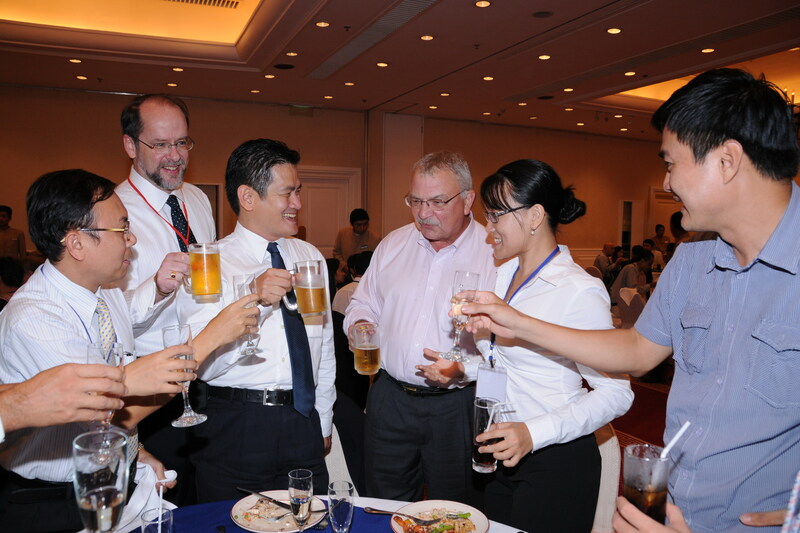 Below is a photo of US Ambassador Michael Michalak and me toasting alumni at a dinner reception.